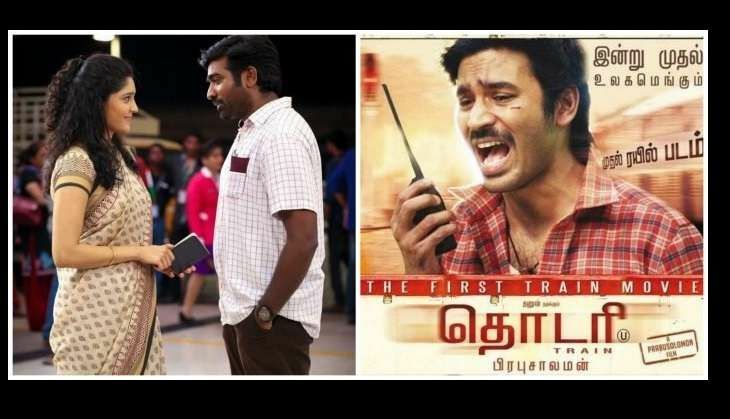 Last week saw the release of two major Tamil films at the Chennai Box Office, Dhanush, Keerthy Suresh starrer Thodari and Vijay Sethupathi's Aandavan Kattalai. Surprisingly, it was the Vijay Sethupathi starrer that crossed the opening weekend with terrific numbers. Thodari was Dhanush's first release of 2016. But shockingly, Thodari opened to negative reviews from audiences and critics alike. The film has been criticised from every corner for its slow pace and a half -baked script. Thodari was expected to do wonders at Chennai Box Office as the film had nearly 325 shows alone in Chennai on its opening weekend. Unfortunately, the film struggled and collected just Rs. 1.1 crore on its opening weekend. And as per early Monday trends, Thodari has crashed at the Box Office. The second release of the week, Vijay Sethupathi starrer Aandavan Kattalai, had an excellent opening weekend at Chennai Box Office. The film opened to lesser screens than Dhanush's Thodari but had a terrific 95% occupancy through out the opening weekend. Aandavan Kattalai collected a whopping Rs. 75 lakh from just 210 shows on its opening weekend at Chennai Box Office. The good news for the makers is that the film is getting positive reviews which are sure to help the film have a rock-steady weekday. Vikram starrer Iru Mugan continued to dominate during its third weekend at Chennai Box Office. Iru Mugan had 110 shows on its third weekend and has grossed Rs. 22 lakh at the Box Office. By the end of its third weekend, Iru Mugan crossed the Rs. 5 crore mark and the total collection now stands at Rs. 5.50 crore at the Chennai Box Office. SpaceX founder Elon Musk unveils plans to send humans to Mars in large numbers soon! READ NEXT >> SpaceX founder Elon Musk unveils plans to send humans to Mars in large numbers soon!